Pure Health and Wellness Clinic opened its doors in 2012, serving the Perth community with a broad range of natural health services. At our practice, you can find naturopathy, homeopathy, massage therapy, reflexology and aromatherapy, offering benefits for people with issues such as gastrointestinal problems, prenatal concerns, fatigue, hay fever, pain, injury and more. 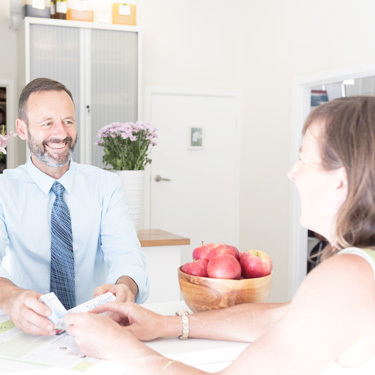 With so many services under one roof, you can have your every health ailment addressed at our convenient location, just 14 kilometres east of the Perth city centre in the Bassendean Shopping Centre. You can park for free in our large car park, making your visits to us an easy stop during your day. All ages of people are welcome to experience our professional, calming and relaxed atmosphere. Our entire team is committed to improving the wellbeing of our clients with an overarching focus on an holistic approach to addressing poor health and bodily dysfunction. With interest growing in the natural health spheres, more and more people are realising the many solutions that these avenues offer in achieving a healthier lifestyle. If you’d like to learn more about what we may be able to do for you, contact our clinic today.